Spit on a white flint rock. Dust, debris, sticks and straw. Tea from the soot of a wood fire. A dirt clod from the Illinois. Fill the void and drape in black. At the base of a 100-year oak. This exhibition and the dirt cutouts left behind, by Brooklyn-based artist Bob Jones at 65GRAND features new sculptures and three-dimensional collages that explore our daily impact on architecture, landscape, and the urban environment. Jones moved to New York City from Milwaukee in the fall of 2015 and began documenting the various ways that people adapted what are known in the city as “tree pits.” These imposed geometric cutouts are intended to carve out a space for trees to exist amidst the concrete sidewalk, but often take on a secondary function. Some of these pits are gated in an attempt to protect or reserve, others function like brownfields in miniature, and some are filled with garbage and cast-off objects that form accidental compositions—creating makeshift viewing spaces for informal installations. The intentional and haphazard arrangement of objects within these spaces mimic the way that sacred materials exist on altars or the way that art activates a gallery or museum. Throughout the exhibition, Jones continues his exploration of quotidian and abject materials—concrete, tar, cork, shells, bamboo, aluminum foil, bricks, pipe cleaners, a rug. Jones draws relationships between these discarded objects often found littering the streets of New York, and several of the works are presented on hay bales, the dimensions of which reference the size of the sidewalk cutouts. Vessel resembles a core sample taken from below the city sidewalk, while (offering) alludes to the accidental construction of discarded and misplaced objects into sites of contemplative reverence or the informal memorials that arise after acts of violence. In competition is both the organic and the inorganic; the rigid and the temporal—concrete and Hydrocal, by sheer force hold disparate materials together. A Momentary View, Medallion, Tableau rest on the wall and function like material film stills capturing the interior chaos and motion of Jones’ studio and locate the artist himself in relation to the urban environment outside the studio walls. They are at once portraits and icons. Jones’ tracking of urban material history is open-ended, but each of the works can be read as talismen, devotional objects, totems, sites of ritual space alluding simultaneously to both the darkness of human existence and a hopeful syncretic, folk spirituality that occurs when the traces of our daily lives are joined in quiet relation. Bob Jones lives and works in Brooklyn, NY. He received his BFA from Illinois State University in 2002. Selected solo and two-person exhibition include dust and hay. sacred clay, Herron School of Art and Design at Indiana University-Purdue University Indianapolis, Indianapolis, IN; Gathered & Buried, Kiehle Gallery, St. Cloud MN; Stone White Vinegar, Tree House Gallery, Arlington Heights, IL. 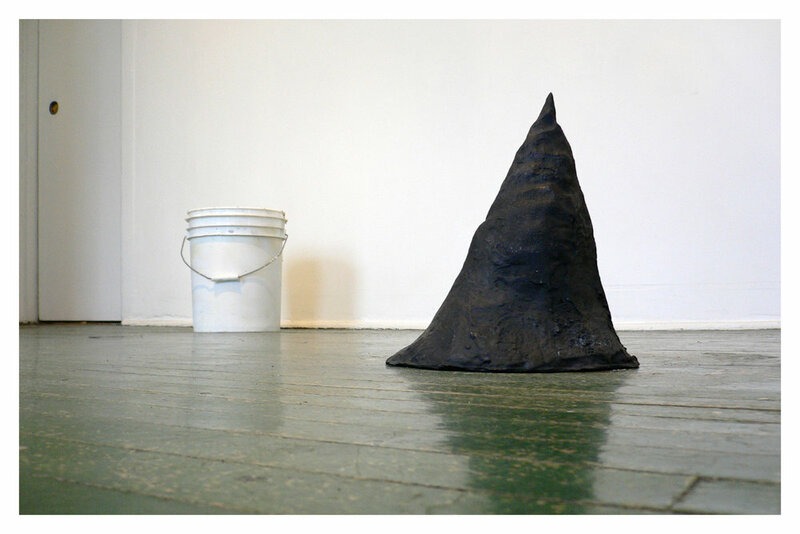 Group Exhibitions include Pacts and Invocation Magic and Ritual in Contemporary Art, Spartanburg Art Museum, Spartanburg, SC; Selections from the Permanent Collection, University Galleries, Illinois State University, Normal, IL; Free Ice, Bermuda Gallery, Milwaukee, WI. 2009 Artists Run Chicago, Hyde Park Art Center, Chicago, IL. 2009 NEXT, The Invitational Exhibition of Emerging Art, 65GRAND, Chicago, IL. Hagan, Katherine. “SoFA Gallery highlights 'One Moment'.“ Indiana Daily Student 1, Oct. 2008: A11. Rhea, Tom. “SoFA Gallery ‘One Moment’." INto ART Fall 2008: 23-25. Curcio, Seth. “Alternaspace: New Modes in Presenting Art.” Beautiful Decay Magazine Dec. 2007. Chicago Artist' Coalition News Letter Dec. 2007. Foumberg, Jason. “Eye Exam: End Times.” New City Chicago 30, Oct. 2007. Red China Magazine Issue #2, Volume #2, 2007. Wenzel, Eirk. “Mr. Jones, Bob Jones Creates Challenging, Thought-Provoking Pieces.” UR Chicago, Art Explosion April 12-May 9, 2007. “Berin Golonu & Erik Wenzel.” Bad at Sports Podcast 11, Mar. 2007: Episode 80. Wenzel, Erik. “Bob Jones and the Push Toward a Raw Refinement.” Art or Idiocy 22, Jan. 2007. Herman, Jessica. “Art Or Idiocy? Erik Wenzel helps to fill the art criticism gap in Chicago and beyond." Center Stage Chicago 23, Jan. 2007. Mast, Audrey. “Bob Jones Multimedia.” New City Chicago 12, Oct. 2006. “5 Shows to See Now.” New City Chicago 12, Oct. 2006. “Bob Jones New Work, and Ian Pedigo.” Flavorpill Chicago 19th-25th, Sept. 2006: Issue 105: Safari Flavor. “5 Shows to See Now.” New City Chicago 28, Sept. 2006. Sill, Robert. Think Small!, Exhibition Catalog 2005. “Thinking Small Nets Big Result for Gallery.” Morris Daily Herald 19, Aug. 2005.